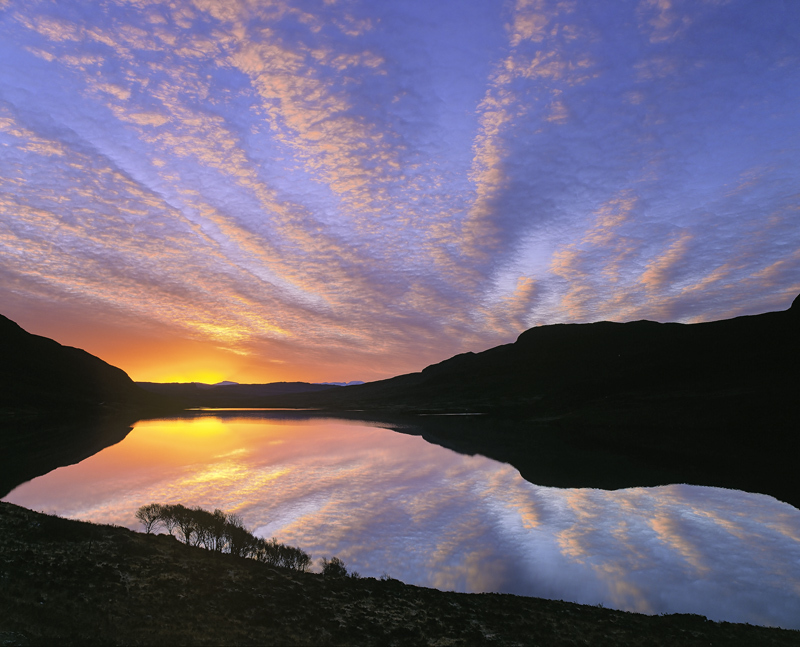 This is actually the most outrageously gorgeous sunrise at Inverpolly I have ever seen and I have been there a lot. Not withstanding we were actually a little later than I intended but fortunately a good knowledge of the area enabled me to quickly re-adjust my inital intentions. A tiny copse of scrubby brush marching over the foreground bank provided me with just enough foreground silhouetted interest. I had already worked out that this was one of the most sheltered sections of Loch Lurgainn so I was pretty certain that whatever showed up would double in reflection. In the end though it is all down to being in the right place at the right time.